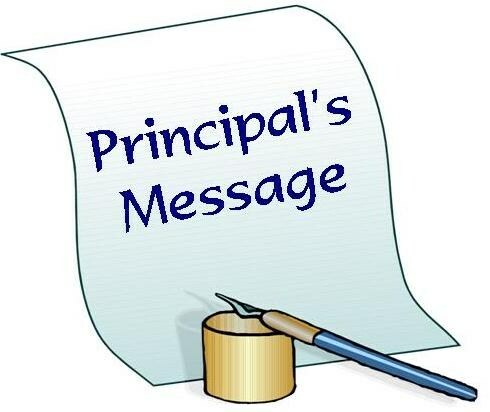 View a new weekly update from our principal Mr. Crawford. Updated every Sunday night. The following are events and information for This Week at West Ranch, April 22 – 26, along with information regarding later events for your planning purposes. We will be continuing The California Assessment of Student Performance and Progress exam (CAASPP) this week with a special schedule for April 23-24. This test is for all 11th graders. This year the district is posting the results of the CAASPP on student transcripts. Testing for 12th graders in the Next Generation Science Standards (NGSS) and 9th graders in the California Physical Fitness test has been completed except for those that need to make up the testing. Please take note that on the days with special schedules, there is no 1st period classes. For all students not testing, the first class will begin at 11:20am. This special testing schedule has been constructed to accommodate all our 11th grade students, the testing environment, and the number of computers we have on campus. The transit schedule will be the same as last week for all days. I have attached a copy of the CAASPP schedule with this email. Thank you for your cooperation! The 2019 Prom will this Saturday, April 27, hosted by the Junior Class at the Petersen Automotive Museum from 7:30pm -11:30pm. Tickets are NO LONGER on sale! We look forward to having a wonderful evening. 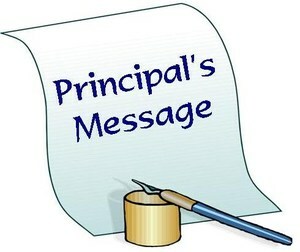 Students should report to the gym at 4:30pm. You will be able to see your student walk the red carpet during our Promenade which will begin at 5:30pm. While tickets are no longer on sale I am including a prom packet with this email as it includes all the times, instructions, and prohibited items. If you have any questions, please contact the ASB office. PARENTS, WE NEED YOUR HELP! We are administering over 1700 AP exams from May 6-May 17. College Board, who runs AP exams, requires us to have a certain number of proctors for each test. Because the times and dates for the AP exams are set by the College Board and administered around the country at the same time, it must be done during the school day. We need your help to proctor these exams for our students. While you cannot proctor your own students test, we need your help for the many other test given. If you are able to help, please click on the link below to sign-up. All the dates and times are listed on the sign-up genius. Thank you in advance for your cooperation and help. In order to participate in High School Athletics, all student athletes must complete a physical. On Wednesday, April 24th, EXER Urgent Care is providing free athletic physicals for all West Ranch students from 3:30pm – 8:30pm. If parents would like to donate at EXER, all the proceeds will go to the West Ranch Athletic Training Program. You will need to sign up for a time slot. Please use the link below to sign up for a time. During these times of rising anxiety with our teenagers, several studies have found 5 proven ways to help manage this. As adults we can use all these activities as well. Become a Relaxation Expert – This is not just sitting in front of the T.V. or computer. Learning a daily relaxation technique (i.e., deep breathing) is key to allow the brain to relax. Get Enough Sleep, Nourishment, and Exercise – All of these are needed to keep the body and mind in balance. Connect With Others – Spending time with those that make us feel supported and secure remind us that we are not in this alone. Connect With Nature – A walk out in nature can help anyone feel peaceful and grounded. If you can find a friend you can connect with others as you connect with nature. Pay Attention to the Good Things – A way to keep you mind off your worries is to focus on things that are good, beautiful and positive. Allow yourself to imagine the best that could happen. We have had an incredible Spring Sports season up to this point with all 11 Varsity sports looking at making playoffs. This is the last week of league play and league finals for all sports. Congratulations to all student-athletes and their coaches for the time and effort they have put into this season. Good Luck to all as they go into CIF playoffs!